Wood construction with a rich maple toned finish. 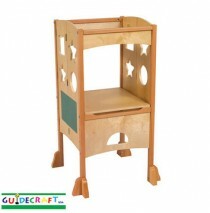 Features: Childproof folding design Fol.. 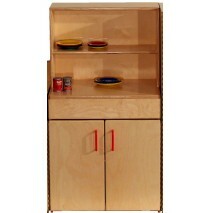 Strictly for Kids Mainstream School Age Complete Kitchen Island. Includes Stove, Range, Under Counte.. Strictly for Kids Mainstream Indestructible School Age Stove, 21-5/8''w x 15''d x 32''h, 28''h stove.. Strictly for Kids Mainstream School Age Indestructible Sink, 21-5/8''w x 15''d x 32''h, 28''h to sto.. 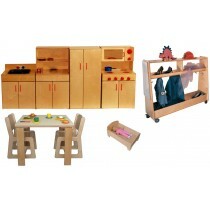 Strictly for Kids Mainstream Indestructible School Age Hutch, 21-5/8''w x 15''d x 44''h, 28''h to st.. Strictly for Kids Mainstream Indestructible School Age Refrigerator, 20''w x 15''d x 44''h. Arrives .. Strictly for Kids Mainstream School Age Kitchen Pack 1. Includes Stove w/Micro (SF207SA), Sink (SF20.. Strictly for Kids Deluxe School Age Ultimate Kitchen Pack. Includes: Ultimate Kitchen (SK213SA), Ref.. Strictly for Kids Mainstream Dramatic Play Pack 2- School Age. Includes: Kitchen Island, Stacking Wa.. Strictly for Kids Mainstream Dramatic Play Pack 1-School Age. 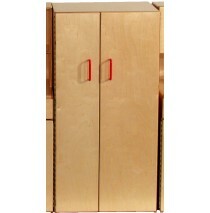 Includes: Sink (SF204SA), Hutch (SF205..
Vanity requires approximately 10- 20 minutes assembly time. Lifetime warranty. .. 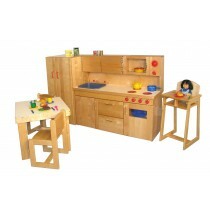 Strictly for Kids Mainstream Preschool Complete Kitchen Island. Includes Stove, Range, Under Counter.. 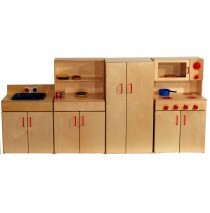 Strictly for Kids Mainstream Indestructible Preschool Hutch, 21-5/8''w x 15''d x 40''h, 24''h counte.. Strictly for Kids Mainstream Indestructible Preschool Refrigerator, 20''w x 15''d x 40''h. Arrives f.. 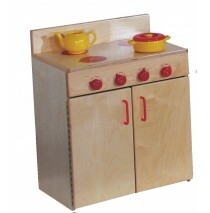 Strictly for Kids Mainstream Indestructible Preschool Stove, 21-5/8''w x 15''d x 28''h, 24''h stove .. 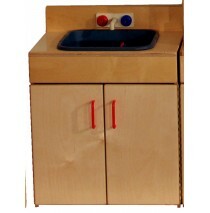 Strictly for Kids Mainstream Indestructible Preschool Sink, 21-5/8"w x 15"d x 28"h, 24"h to sink top.. Strictly for Kids Mainstream Dramatic Play Pack 1 - Preschool. Includes: Sink (SF204), Hutch (SF205).. Strictly for Kids Mainstream Preschool Kitchen Pack 1. Includes Stove w/Micro (SF207), Sink (SF204),.. Strictly for Kids Mainstream Dramatic Play Pack 2- Preschool. Includes: Kitchen Island, Stacking Was.. Strictly for Kids Deluxe Preschool Ultimate Kitchen Pack. 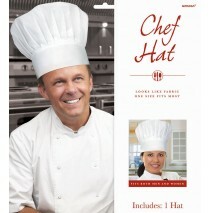 Includes: Ultimate Kitchen (SK213), Refrig..
Includes (1) chef hat. One size fits all. Polyester. Color: White Material: polyester Celebration..